Shael Riley (of The Double Ice Backfire) and his pals at ThaSauce Games want to bring music game fans something fresh and unique to the genre, in the hopes it will be picked up by Steam Greenlight. Riley tackled the art, sound, and game design, while fellow developer Chris Motola took the brunt of the programming work. 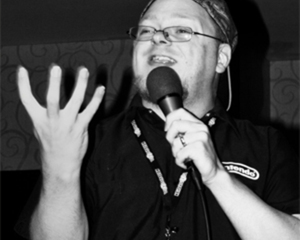 The duo has teamed with gaming site ThaSauce head honcho Doug Arley to help refine their UI. Rather than being a typical rhythm game, this looks to be more along the lines of working with music theory. String's Theory tasks players with attempting to pick out major, minor, or seventh chords hiding among other notes. It's a form of training the ear to hear the bad note within a chord, and eliminating it. The puzzle/music game hybrid features over 40 levels that look to not only entertain but also help players learn how to hear and understand notes and chords. As a guy who has always struggled with wishing my ear was better attuned to what notes I was hearing, this certainly appeals to me, and the straightforward interface seems easy to grasp, while offering a suitable amount of challenge as you progress. Check out the Steam Greenlight page for String's Theory and see what you think.